There are so many great events coming up in the next few months. I know Easter isn’t for a few weeks but with Spring Break it will sneak up on us! 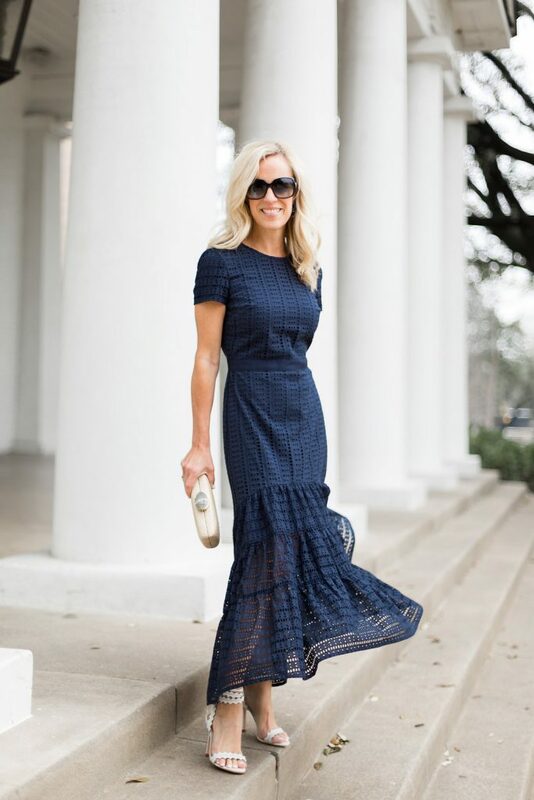 Plus, Banana Republic is having their Friends and Family Sale and this gorgeous dress will be gone soon! 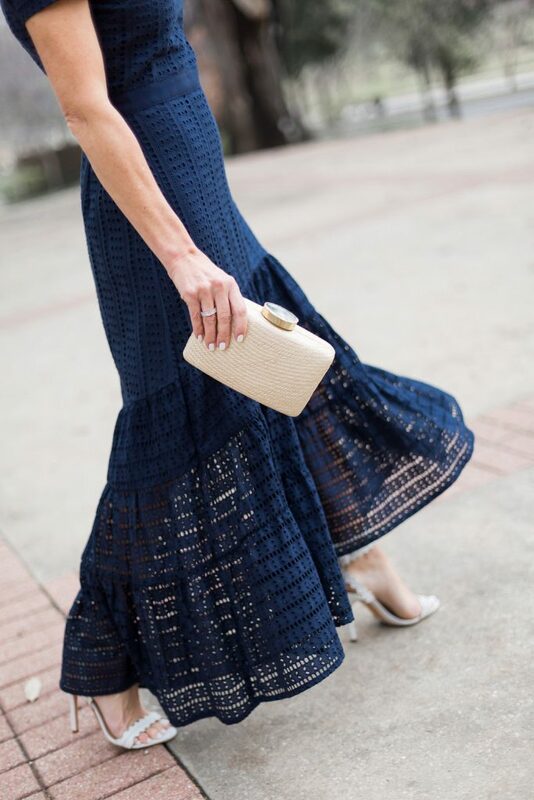 This navy eyelet maxi dress is so flattering. I love the fit and style so much I actually picked up the white version, too, because I just couldn’t choose! And at $106, can you blame me? Crazy, I know but it looks so much more expensive! I love the slim but not tight fit, the short sleeves and the unlined high-low flounce of the ruffle hem. It will be great for a wedding I have coming up soon. I think this could even be worn to a summer black tie. So many summer dresses are sleeveless so that is another plus for this beauty. 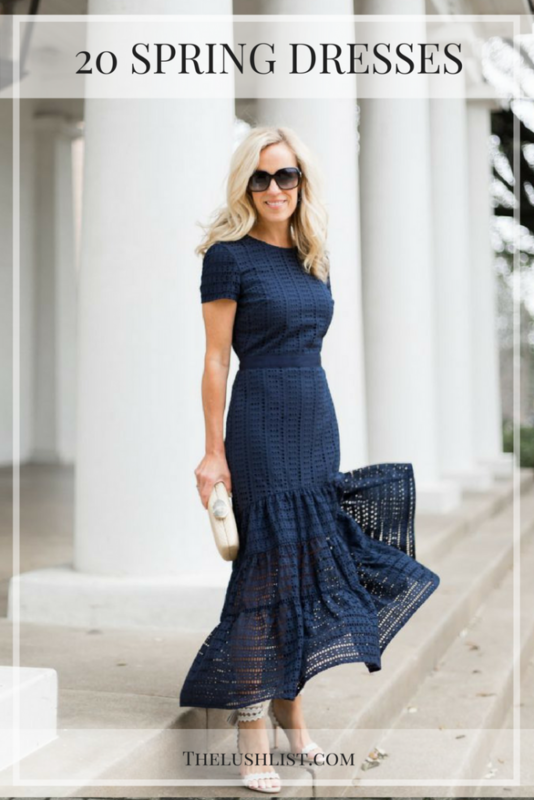 Below you’ll find 20 dresses that I think are perfect for spring events like graduation brunches, Mother’s Day, and more. 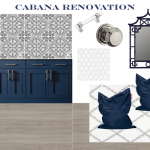 I’ve also included a shoes, handbags and jewelry I’m loving right now, too. My sweet husband gave me this hot, new bag for Valentine’s Day. You know what a neutral gal I am but I really love it. 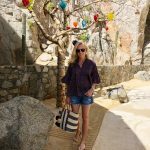 Well, we are off early for Spring Break so I’ll be taking the week off to be with my family but you can follow along on Instagram and the LikeToKnow.it app for style inspiration or visit the Style Shop above.